Please use your mouse to click on a state for a listing of local resources near you. 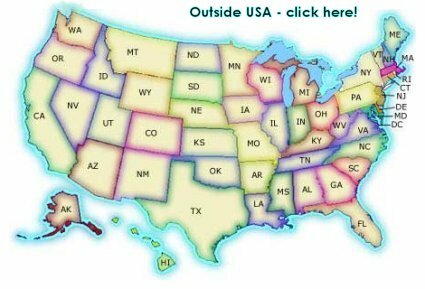 You may also use the drop down menu directly below this map. Legal Disclaimer: This Directory is compiled from the suggestions of many people throughout the country, and from representations made by advertisers. Although every effort is made to ensure accuracy and appropriateness, no representation is made by Woodbury Reports Inc. or Places for Struggling Teens as to the safety, effectiveness or accuracy of any of the resources listed. For parents looking for advice from other parents, go to the Discussion Board. For articles, essays and reviews of various resources, go to this site's Home Page.